It’s the bane of all youth leaders. Lock-ins. A time when youth gather to chill, leaders long to chill out, and parents rejoice ‘cause they can chillax’. A time when sugar rushes increase, pizza slices decrease…and, of course, a time when the whole world starts to smell like Mountain Dew and corn chips. No question, if you’ve ever served in youth ministry, you know what it’s like to love and hate lock-ins; yet, regardless how you feel about them, one thing is for sure: youth show up! Thus, how we approach and frame the event is worth discussion. 1. Don’t just plan in advance; pray in advance. As an architect of nine lock-ins, I’ve found two of the biggest mistakes youth leaders make is overvaluing entertainment and forgetting to pray before planning. I know for me, there have been many times when I started brainstorming connection strategies (i.e. youth to God, youth to youth) only to get sucked into the “this can’t happen apart from recreation” undertow. Granted, dance-offs, Wii/Guitar Hero tournaments and ice cream sundae bars all have a place; however, it’s only when their ‘place’ becomes defined in the context of ‘primary objective’ that the event they happen in can reach its full potential. While it’s true the key to quality prep is developing a game-plan from rightfully aligned priorities, when you pray before you plan, not only do you surrender yourselves to God’s agenda, but you free yourself from prematurely tackling your own. Bottom line: If you want your lock-in to reach its potential, don’t rely on what’s worked in the past or for ‘x’ group; rather reset the slate and pray before you plan. If you’re like me in the sense that delegating, as a skill, is more acquired than natural, seeking assistance can seem like a last resort; however, with premiere events like lock-ins, not only can sharing responsibility be a freeing experience for adult leadership, but an empowering one for students and families as well. I remember during one particular lock-in, our team had the youth serve neighboring communities through random acts of kindness before returning to church. The problem was since we didn’t have a church bus at our disposal, I couldn’t transport all our youth at once. Consequently, I had no choice but to call a few parents and request assistance. Now, I admit: as an independent introvert, I wasn’t too excited making my needs known at first; however, as it turned out, talking to parents proved to be liberating in the sense it allowed me to shed light not only on event vision but group vision. As for my youth team, I gave each leader a different contact sheet with instructions on inviting their list of youth and reminded them it wasn’t about numbers or outcomes, but making as many youths aware they were welcome. Bottom line: Never hesitate to delegate. When you invite parents and youth leaders to get involved, you spread the word more effectively. I know many believe lock-ins should be zero-dollar events, but to be honest, I’m not one of them. While I respect the approach, I’ve found ditching the free admission concept to be more beneficial since it gives youth the chance to turn cash into something they can contribute. For example, with our lock-ins, I remind the youth each year to bring an ice cream sundae bar topping instead of an admission fee. In this way, each attendee has an opportunity to provide something that makes the lock-in better. Bottom line: Convert lock-in admission into provision. After all, it’s not about the money; it’s about the giving. 4. Turn out the lights. Not to sound contrarian, but lock-ins and all-nighters don’t have to be synonymous. Yeah, I know there’s this notion that says staying up just for the sake of staying up is cool, but as many a youth leader will tell you, a cat nap at a lock-in is often a wise move. Case in point: A few years ago, my wife and I hosted a “Minute to Win It” lock-in that featured games at the top of every hour. While the theme proved to be a huge hit, perhaps the smartest move for that event was establishing the grand finale game at 2:00 am and using it as ‘halftime’ dividing high-energy activity from wind-down time. Is it ideal to have every fifteen-minute segment blocked? Technically, yes; however, the way I see it, with any lock-in, the second half should be the most customizable. Personally, I prefer designating the 2:00-6:00 am time frame for watching movies, playing cards/board games or contained group activities conducive to dimmed lighting. That way youth who need rest can find it and those who don’t need it can continue on with slightly quieter forms of fun. Bottom line: Don’t be afraid to encourage rest during a lock-in. Yeah, it may not be ideal for your nocturnal/extroverted youth; however, as long as you frame quiet[er] time with engaging opportunities, you have nothing to lose. Sermon prep for the bivocational pastor can be a challenging issue. From selecting the right topic to developing ideas in the midst of unrelated work, crafting a sermon requires forward thinking and resolute diligence. Whether you’re a novice bivocational pastor or a seasoned veteran, here are some ways I’ve learned to conquer sermon prep stress. It’s been said no man is greater than his prayer life. Considering prayer, quiet time, and sermon prep are mutually inclusive, one could also deduce how no pastor is greater than his sermon prep. Of course, ideas come and go and the needs of people change; however, the one thing that must never waver is the commitment to pray (for revelation, the people of your congregation, etc.) at all costs. To put it another way, the foundation of any teaching must always begin with prayer since it allows God to be the driver as opposed to our own finitude. So whether you’re discouraged or simply have sermon writer’s block, pray through the grind and position yourself for illumination by carving out closet time between you and God. Oh, and while you’re at is, don’t forget to bring a note/iPad so you can jot down what God tells you for future reference (which reminds me…go see “War Room” when you have the chance; such a powerful film…you won’t regret it) . I’m a fan of living in the now; however, with sermon prep, looking ahead isn’t just a good idea; it’s absolutely necessary. For instance, there are times when God will unveil a sermon series to you, as opposed to a stopgap message. When this happens, there are two appropriate responses: 1) rejoicing and 2) projecting (i.e. looking ahead). Not to suggest a la carte messages are inferior; I’m just saying when you’re given a sermon series, it’s critical to a) let the Word/assignment marinate in your spirit so it can be processed and b) look ahead so it can be divvied up systematically. At my job, there are two types of seasons: busy seasons and “less busy” seasons. During “less busy” seasons, my workload will occasionally stall to the point I’m able to reference my youth pastor worklist (or my wife 😉 and chisel it down so I can direct my focus on other things (like this blog). Granted, productivity can still happen during busy seasons; it just means anticipation must be met with greater intentionality. Case in point: during year-end closeout season (one of the busiest for accountants), I know at the very least, I have two fifteen-minute breaks and an hour lunch. This means regardless of how busy work gets, I can take advantage of 7.5 hours of potential prep time. Of course, we all find ourselves in different boats on different waters in different seasons; however, the point here is: if you seek the opportune moment, you will surely find it (Matthew 7:7-8; Luke 11:9; Jeremiah 29:13). Some of my greatest pastoral mentors are known to manuscript their sermons. 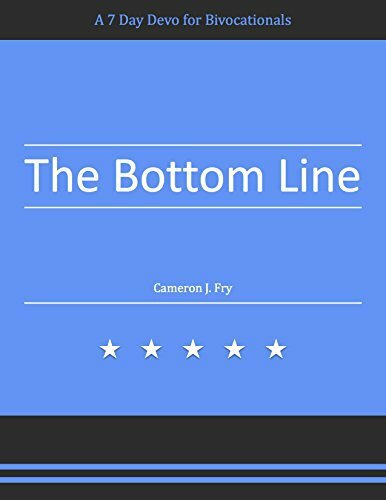 While I certainly understand the benefit of such an approach, I also know it can be more practical for some to develop a detailed “five point-ish” outline, with a clear-cut introduction and conclusion. Whatever method you use, make sure the content is fleshed out. By this, I mean a message with a coherent outline and an organic flow sprinkled with some applicable illustrations to help the audience track with the truth1. 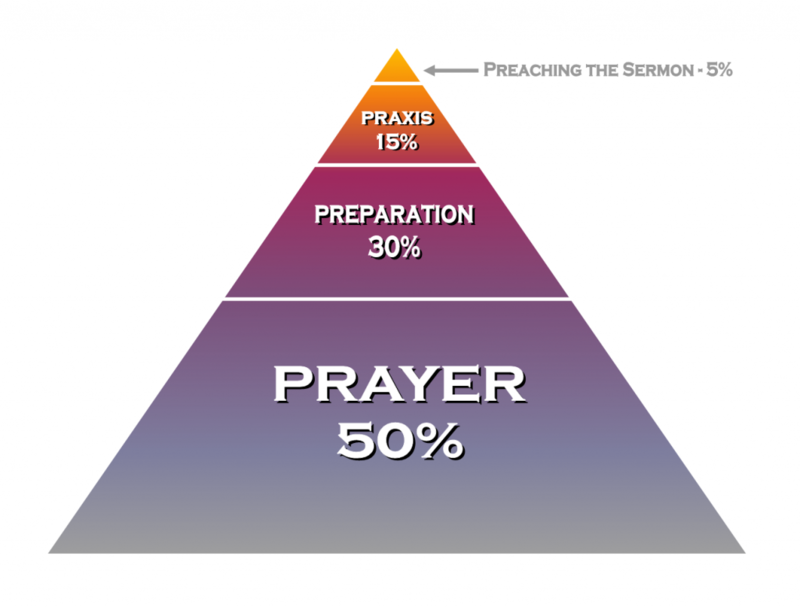 Preaching is just as much week-by-week rhythm as it is in-the-moment delivery. While congregations and experiences vary, the common denominator for rotation speakers lies in developing a steady routine tailored to what works best for them. For me, I like devoting select days to content development/study and others to revision and delivery. Of course, each week is unique with the potential to go off-script. Yet, while those weeks can be unnerving, they don’t have to be as long as I reference an establish accountability system or development checklist. Doing so will not only sharpen the content, but enhance confidence leading up to the sermon date. Perhaps you’ve discovered some other helpful tidbits aiding you in your sermon prep. If so, feel free to share them in the comment section below. I believe the most memorable sermons feature applicable illustrations. For me, if a powerful truth is presented without an analogy/work picture attached (or without it amplified on a big screen for me to read à tweet), it can sometimes go in one ear, out the other; however, as a youth minister, I’ve learned the value in bolding the truth by associated it to something presentable. At any rate, the goal is not to entertain and/or convince the audience of the truth’s relevance (i.e. let God do His job) as much as it is giving them a greater chance to remember it in the first place. In a previous post, I outlined five important lessons for 21st century youth pastors. 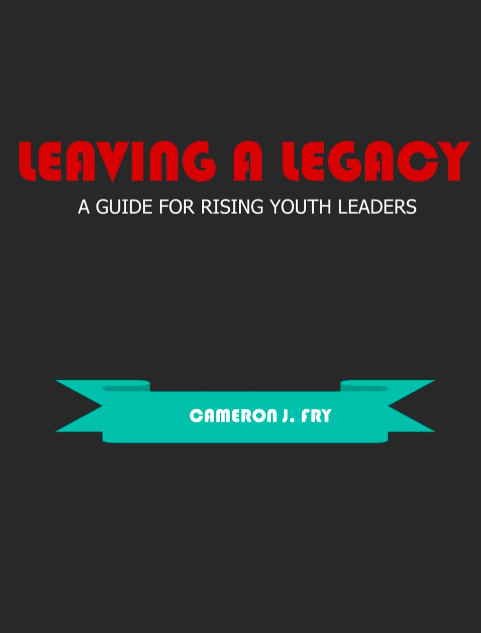 Today, I’m going to switch gears by discussing three of the biggest challenges youth leaders face on a daily basis. While parents understand their youth better, this doesn’t mean they understand the youth group better1. While parents can be a youth pastor’s most challenging relationship, if trust and communication is established from the get-go, it will have a greater opportunity to flourish. In my experience, I’ve seen it all: parents asking other parents or staff questions they should be asking me, parents criticizing my effort to other pastors and parents, parents pulling their kids out of youth group without explanation, parents not making any effort to connect, parents not making any effort to encourage their youth to connect, parents who think they know me because they know my parents, parents who volunteered with hidden agendas, parents overprotecting their kids based on vain assumptions…I could go on. For instance, after learning one of my parents had a gift for teaching music, I decided to extend him an opportunity to help me create a youth worship band. In this way, I not only invested in one of his passions and spiritual gifts, but also invited him into a piece of the overall vision. As much as I love youth pastoring, it’s hard to ignore the trends suggesting student ministry is becoming more obsolete. Granted, I strongly believe youth should have a defined place of identity and influence in the body outside ‘youth group’. Still, with each passing year, I see many youth and youth parents disconnect from youth ministry with the concern youth group will conflict with their own standards. Yet, as I’ve learned, if these standards are to be extended, then they must be empowered to be encouraged. So, if you’re like me, having learned the essentiality of youth group through years of experience, it makes sense for us, as shepherds, to want ‘fence families’ (i.e. uncommitted attenders with uninvolved youth) to know the same; however, it’s in these moments we must exchange entitlement4 for encouragement. For while it’s true more people are basing their engagement on circumstance and convenience as opposed to conviction, we must remember it’s not our responsibility to reverse the trend. Rather it’s our privilege to pray God inspires understanding of what commitment in community looks like…while modeling it along the way. I remember with one family years back, understanding the needs of their rising youth was a huge challenge. Often times, they’d reach out inviting me to pray over their youth on a Sunday morning and then go into radio silence for weeks leaving me to wonder if I had done something wrong. Thankfully, the more I started to pray outside my understanding, the more I started to relate within my understanding. As it turned out, the youth wrestled with autism and the parents, who thought they had communicated this to me, went years assuming I knew. Only once we bridged the misunderstanding did communication and community between me and the family begin to improve; however, looking back, it’s clear had I not repeatedly surrendered my questions to God, I likely would have lacked the humility to own my ignorance. Perhaps the most oppressive challenge in this list involves the pressure to perform. While this struggle may vary from person to person, the common denominator is usually a fear of appearances. For example, as a rookie youth pastor, arguably my greatest insecurity was feeling less spiritual than my superiors. Accordingly, I started embracing a performance mentality, growing more concerned over aesthetic matters than shepherding community. However, after a moment of counsel with one of my mentors, who also happened to be a youth parent at the time, my eyes were opened to the places I was unnecessarily striving in. For that reason, I was able to repent and turn from my pride. Whatever the case, it’s critically important for youth ministers not to let fear generate action since a priority of execution as opposed to service will hinder what relying on God looks like. To paraphrase Alistair Begg, in modeling only partial dependency, we compromise our equipping of young people to conquer sin and walk with God. Bottom line: If our initiative isn’t “simply Jesus”, then we not only dilute our leadership, but also minimize the potential of God’s Spirit transforming youth from the inside-out. Specifically vision and mission. Also, it does concern me how some are not taking ownership of their kids’ spiritual growth. While some parents are extremely overprotective, others can rely too heavily on the church to change their kids. We live in a time when the church is radically changing, a reality no more evident than among today’s youth. Yet, while the challenge may seem intimidating, when we, as youth pastors, seek to better understand the times, we can discover powerful truth and application. It’s no secret today’s youth live and die by social media. Perhaps you’ve noticed more of your youth defining their identity by how many Facebook likes, selfie comments, or Instagram followers they have. As I told our youth several times, the gravity of social media is self-centeredness if we’re looking to it for affirmation; however, if we choose to exude confidence in who we are in Christ, we allow social media to be the encouragement tool it was meant to be. If you’ve been in ministry long enough, you’ve probably noticed some families checking out for extended periods with little to no communication. Naturally, when this happens, our first instinct is to wonder why; however, as hard as it may be, it’s critical we not take their absences personally. For one thing, just because you’re a minister doesn’t mean you’re entitled to know every intimate detail of a person’s life. Furthermore, church commitment can’t always be measured in attendance. The reality is life gets crazy and for some, a breather from church can be of benefit. I remember during my second year as youth pastor when a family disappeared for months without any heads up. Without any leads or intel, the head-scratching was real. “What triggered this? Did something happen? What can be done,” I often thought. However, after a get-real prayer time with God, it hit me: my role was not to maintain them, but to sustain them…not to keep them in church, but en-couraged! …once I surrendered the right to fully understand outside situations, only then was I able to find the balance between letting go and reaching out. However, as frustrating the struggle may be, when we filter this challenge through the question, “How can I reach more people with the love of Christ”, we discover how empowering youth to connect with peers can improve communication. I recall a youth leadership meeting during which my student leaders discussed this issue having realized the need for a better internal and external communication process. As they decided, for the internal process, each youth leader would receive a monthly contact list of sick, struggling, or frequently absent youth to text or call. Likewise, with the external process, each youth leader would invite a friend at school (or outside the leadership core) into the promotion of community events. In this way, not only could adult leaders focus more on parental/professional communication, but also youth could share in the responsibility while fortifying relational bridges as disciple-makers. One of my favorite examples of this took place when our youth teamed up with the children’s ministry in a recent vacation Bible school promotion outreach. At first, all participants met at the church to pray and inquire of the Lord where to go and who to target. Then, after reaching a spiritual consensus, we broke into groups dispersing into different parts of the city from nearby apartment complexes to local businesses, strip malls, and parks. From a PR and publicity perspective, the outreach was a huge success resulting in the most attended VBS in our church’s history; however, for our youth, no question bonding with younger peers while recognizing their value in community service left the greatest impressions. It’s inevitable. At some point, boy meets girl, boy asks girl out, and before you know it…bam! You have a dating relationship along with endless gossip fodder on your hands. As some of you can attest, the stewardship of purity can be a hard road to navigate from anxious parents and their content expectations to distracted youth and their thirst for acceptance. Yet, it’s in these circumstances we must remember our role is not to parent but to partner with parents in extending their standards. As you’ll inevitably find, not only will this establish trust between pastor and parent, but also empower the parent to love as Jesus loves and the youth to love what Jesus loves. Not to mention the door will be opened for healthy dialogue to take place regularly. For instance, during my third year as youth pastor, one of my youth worship leaders started a dating relationship with a fellow youth leader. At first, I felt zero qualms about the development, but gradually, I noticed an uptick in PDA and subsequently, my discomfort in how it could potentially translate. Eventually, a youth parent called me up asking why I wasn’t doing anything to ‘snuff the flame’ out. In response, I told him my responsibility wasn’t to parent, but rather invite the parents involved into the conversation of helping these youth live above reproach. As it turned out, after discussing the matter with the appropriate parties, each side came away with a better scriptural understanding of what stewarding physical affection looks like. How many of you have ever been asked “How big is your youth group”? Probably a number of times, right? Faithfulness is not a function of church size. The purpose of church is commissioning community1, not boasting numbers. If you ask me, I’d rather have 10 passionate youth who understand the Spirit-led life, versus 50 youth looking to be entertained on their weekly pit stop. After all, pastoring youth is all about cultivating a Gospel-driven culture, not an agenda-driven ministry2. 2) Cultivating a place where God’s presence can be known (i.e. demonstrating heaven on earth) is our purpose. Thus, it doesn’t make sense to elevate any pursuit above serving the body in a way the Kingdom is expressed.